Today is officially “Bike to Work Day”, and for most people that means ignoring it completely and driving their car as usual. For those intrepid souls who will take their two wheeled conveyance to work and back, they likely won’t be doing it on one that has been made from a design of their memory of what one looks like. It seems so simple that you almost want to make fun of people who can’t draw a bike, but then I tried it and failed – as did the majority of the office when I forced them to do so on post-it notes. It’s shockingly hard to get right, which is perplexing since they are such a common sight. Writer and blogger, Gianluca Gimini highlighted this reality by doing the same thing on the street with random people, and got some truly interesting results in the process. If you’d like to see some of the drawings, you can check em out here. Taking it a step further, and even deeper into the absurd, many of these bike drawings have been made into actual rendered designs ready for the production line, if you know, they actually worked. 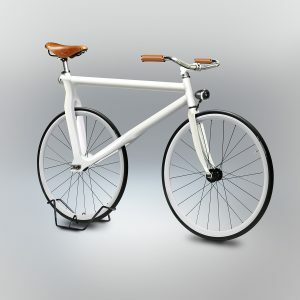 Here are some of what many poorly designed bikes would look like if they were turned into actual designs. 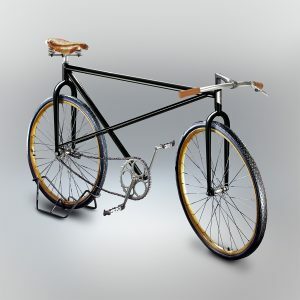 Surprisingly, the bicycle as we know it is a relatively new design. The first known concept for a bicycle is largely attributed to Gian Giacomo Caprotti, who was a pupil of Leonardo Da Vinci and the likely source of inspiration for blogger Gianluca’s pseudonym. But in truth, what we think of a bike today didn’t exist until the end of the 19th century, or even the 1950’s depending on what you consider the modern design. There were a few concepts that got the tires rolling on the craze that has become the biking world. 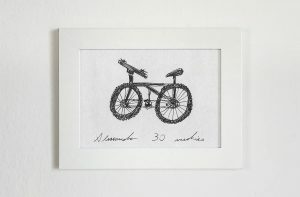 These came the in the form of the Penny Farthing and the Bone Shaker to name a few – think the giant wheel and little tiny wheeled bike that you know you’d fall off of, and don’t worry, you won’t be able to draw those either. But the modern bike is a pretty new, and a pretty awesome way to get around for those that want a break from the slowly undulating parking lot that is their morning drive. And while we know you likely forgot how to draw a bike from memory, you likely didn’t forget how much greener they are for the planet, and that is why today is bike to work day. So if you’re looking to save some gas cash, help the planet, and get a little exercise, then try dusting that frame off that’s been sitting in the garage, give the tires some air, and get a move on! Just make sure you aren’t trying to peddle your way to work on any of these designs or you’ll never get there.